From 1789 to 1800, the Federalist and Republican parties held opposing visions for America's future. Unfortunately, due to sales rights restrictions, we cannot offer The Hamiltonian Vision, 1789–1800 for sale in your country. From 1789 to 1800, the Federalist and Republican parties held opposing visions for America's future. Led by Alexander Hamilton, the Federalists sought to establish a strong central government that would lead an American commercial, financial, technological, industrial, and military revolution, and thus propel the United States into the ranks of the world's great powers. Thomas Jefferson and the Republicans feared that new wealth, power, and competing interests would corrupt the classic republic they envisioned. Instead, they extolled the romantic notion of a republic of yeoman farmers, states' rights, and frontiers defended by militias and gunboats, all presided over by a weak federal government. 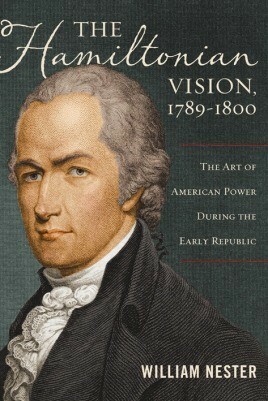 Hamilton's vision largely prevailed in battles with the Republicans over the Bank of the United States, the role and composition of the army and navy, the Whiskey Rebellion, the French Revolution, the Indian war in the Northwest Territory, British confiscations of American ships and sailors, the Jay and Pinckney treaties, and a"quasi” naval war with France, among other conflicts. But, ultimately, Jefferson and his Republican Party would triumph in the 1800 election and permanently eclipse the Federalists. Historians and general readers alike will be riveted by William Nester's portrayal of the struggle between Federalists and Republicans—a conflict whose core issues resonate in the divisive politics of today's America.